Driving I5 to Vancouver BC? It's the bridge over the Skagit River. Collapsed today. No one hurt. Re: Driving I5 to Vancouver BC? Yeesh....used to head across that bridge four times a week on my way to NC Machinery in Mount Vernon. Pretty scary, glad to see no one was hurt. I have always been just slightly creeped out when I swing out high over the Willamette on the I-5 S to I-84 interchange by the Rose Garden. This picture doesn't help. I was driving a truck once on the Marquam when it had a a flat. The first time I realized how much that bridge shook was when when I stood on the pavement. PurpleGeezer wrote: I was driving a truck once on the Marquam when it had a a flat. The first time I realized how much that bridge shook was when I stood on the pavement. Avoid drowning after the collapse of the Marquam....take I-405 around the west side of the city and die from the impact of the longer fall from the Fremont Bridge when it goes down. BTW, from my experience, the Fremont moves the most of any of the Portland bridges....much more than the Interstate. Oh, and Mrs. DD and I just drove over the now collapsed I-5 bridge over the Skagit last Friday on our way south from the San Juan Islands. We are currently in Ashland....so more many bridges to cross on the way back home. The mrs. And I went over it about a month ago coming back from Vancouver BC. How many of those bridges you have to cross are classed as " functionally obsolete"? And what exactly does that mean? Would seem to fit that description. Hope you have saint Christopher on the dash. An engineering license seems less useful right now. Add the interstate bridge to the " functionally obsolete" category. 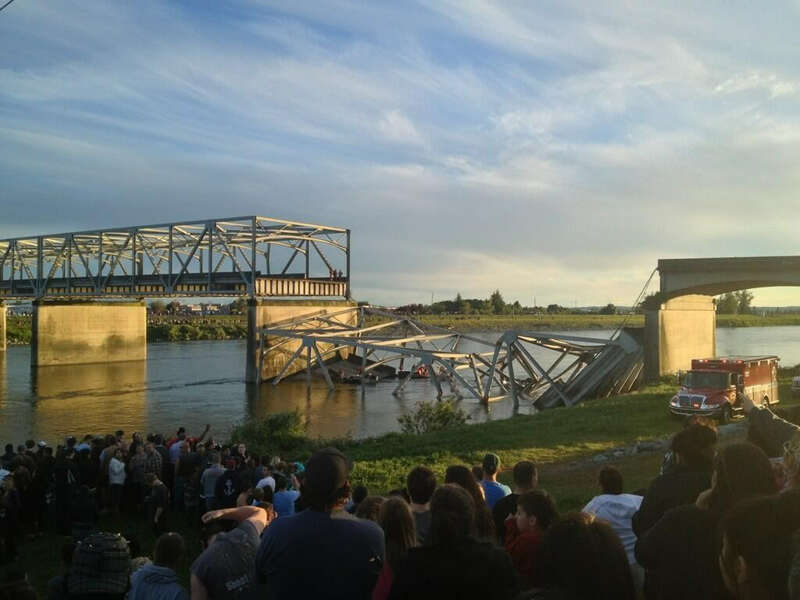 Like the Skagit River bridge that collapsed Thursday, the Interstate 5 Bridge between Oregon and Washington is listed as “functionally obsolete,” but not structurally deficient, by the Federal Highway Administration. The Portland-Vancouver span is actually made up of two bridges, one of which has a federal sufficiency rating below the Skagit River bridge, because of low vertical clearance, narrow width and low original design load. Oregon Gov. John Kitzhaber said Friday that the Skagit collapse, which injured three motorists, underscored the importance of replacing the Interstate bridge with the proposed Columbia River Crossing, a $3.4 billion project that would include light rail. Continuing coverage of the Columbia River Crossing and the money behind it.“Can you imagine what would have happened if the I-5 Bridge had collapsed at 5 o’clock on a Thursday night?” Kitzhaber asked, after a signing an agreement in Portland Friday with U.S. Interior Secretary Sally Jewell to speed up infrastructure projects. Personally, I was hoping not to have to imagine the I5 bridge falling down during rush hour on a Thursday night. Say, DD, do you own a rowboat?